At BoardSource, we want to make sure you get the answers you need as quickly as possible. The answers to most of the questions we receive can be found below. If these frequently asked questions do not answer your inquiry, please contact us by e-mail or call our customer service department at 1-877-892-6273. I placed an order on your website, but I don’t think it went through. What should I do? If you placed an order, but are not sure if the order went through, please contact a customer relations representative via e-mail or by calling 1-877-892-6273. We accept Visa, MasterCard, Discover, American Express, and debit or check cards that are connected with one of the major credit card companies listed above. You will be asked to enter your credit card information (on a secure site) at the end of the order process. BoardSource accepts checks for mail-in orders. To pay by check, please continue through the online order process until you reach the “submit” button. At that point, instead of clicking “submit,” select the option to print out your order, and mail it to BoardSource with your check. Be sure to include the price of shipping. Please be advised that paying by check slows the order process, as we do not place an order for your items until your check is received, and we do not ship the items to you until your funds clear. If you are in the United States, paying by personal check usually delays your order. Typically, you will receive your order in two to three weeks. Any returned checks will be subject to a $10 fee. Please contact our customer relations department at 1-877-892-6273 for instructions on how to pay using a wire transfer. I don’t understand a charge that was placed on my credit card. What should I do? For billing questions, please contact the BoardSource customer relations department via e-mail or by phone at 1-877-892-6273 (press 6) or direct dial 202-349-2581. Can I place an order and have you invoice me for payment? BoardSource requires prepayment for all membership and products orders. We can provide proforma invoices if an invoice is required for payment. Orders will not be shipped and memberships will not be activated until payment is received. My colleague is a BoardSource member. Can I get the member discount? BoardSource member discounts are available only to the individual who holds the membership. If an individual with a membership is no longer with the organization, that membership can be transferred to a new individual. The transferred membership will be prorated and the membership expiration date will remain unchanged. Learn more about becoming a member of BoardSource. Will I receive a discount if I order several copies of the same book? Yes, you will receive a discount for several copies of the same book or online tool based on the schedule below. Order 26-100 copies and receive a 20 percent discount off the member/nonmember price. Order 101-200 copies and receive a 30 percent discount off the member/nonmember price. Order 201-plus copies and receive a 40 percent discount off the member/nonmember price. *Online tool purchases expire one calendar year from date of purchase. ** Organizational members, please call for discount. Print Publications — BoardSource ships its books and periodicals using either FedEx or USPS trackable courier services fulfilled through an off-site provider. Orders sent by standard shipping within the 48 contiguous states usually arrive within 7 business days. Orders sent to Alaska or Hawaii take an additional 3 business days. Orders sent via priority mail generally arrive in 3-5 business days and expedited orders usually arrive within 2 business days. Rush shipping is not available for locations outside the continental United States or internationally. Downloaded Publications — Electronic publications are available for download immediately after purchase. You will find them on the purchase confirmation page or in the emailed order confirmation. You can download your publication(s) on your My Account page under Downloads. Orders are processed the next business day. With standard shipping, you should receive your order in 3 to 5 business days. Has my order of print publications shipped? It hasn’t arrived yet. If you have not received your order, or want to know whether it has shipped, please contact a customer relations representative via e-mail or by calling 1-877-892-6273. Orders sent by standard delivery within the continental United States usually arrive within 3 to 5 business days. Orders sent to Alaska or Hawaii usually arrive within 6 to 8 business days. Higher shipping fees apply for orders greater than $200. Digital products are sent electronically, and do not have shipping fees. Add $20 for overnight delivery and $15 for second day. Rush orders are not available for Alaska and Hawaii. Packages for Alaska and Hawaii will be shipped via ground service only. All international orders will be shipped ground at the domestic ground rate. Rush option is not available for international orders. I purchased downloadable material. How do I access it? Downloadable publications are located on your My Account page under Downloads, on the confirmation screen after completing a purchase, and emailed along with your order receipt. 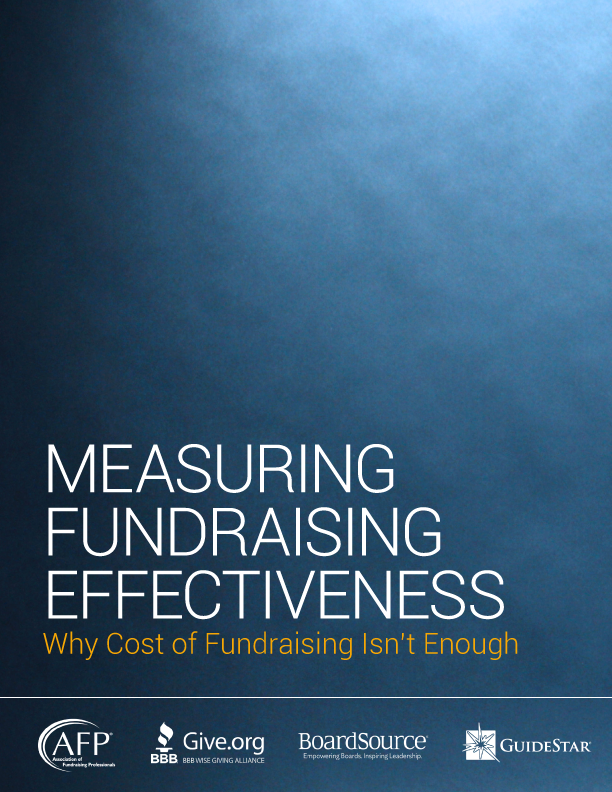 Can I share my downloaded publication with others in my organization? Downloaded publications are protected by the same copyright laws as printed publications,. Therefore, additional publications and titles must be purchased separately. If an item you have purchased is reduced in price within fourteen (14) days of your order date, we will happily adjust the sale price for you. Please note that we can only make one sale adjustment per item and items purchased with coupons or promotional discounts are not eligible for price adjustments. To obtain a price adjustment, please contact BoardSource customer relations at 877-892-6273 or 202-349-2581. Please have your order number available when you call. The price adjustment policy does not apply to sales. What is your policy on pricing errors and/or omissions? We make every effort to ensure the accuracy of the information on our web site. When errors are discovered, we will correct them. Be advised that BoardSource reserves the right to revoke any stated offer and to correct any errors, inaccuracies or omissions, including after an order has been submitted, after it has been confirmed, or after your credit card has been charged. If we discover a pricing error after your credit card has been charged and your order is canceled as a result of the error, your credit card will be refunded back the full amount of your order. You will be notified via email if your order has been canceled and be given the opportunity to place the order at the correct price. Please note that individual bank policies vary when the amount is credited back to your account. Prices and availability are subject to change without prior notice. If we ship an incorrect product. If the carrier damages a product during shipping. If we re-ship a product in these cases, we do not add another shipping charge. Do you refund the price of downloadable publications? BoardSource cannot refund the price of downloaded publications, including e-policy samplers, toolkits, and electronic books. What are your return/refund policy for publications, assessments, and membership? Print publications in resalable condition and accompanied by the original invoice may be returned within 30 days of purchase for a full refund minus the cost of shipping. Print publications returned without an invoice may be credited to your account for use on future orders. Online Board Self-Assessments and Assessment of the Chief Executive must be used within one year from date of purchase. Membership dues may be refunded if a request for cancellation is received in writing within thirty (30) days of purchase. Certain exclusions and restrictions may apply. For more information, please refer to our membership refund policy below. What are your cancellation/refund policies for trainings and webinars? Please refer to our Cancellation Policies page. What are the benefits to membership in BoardSource? Membership benefits vary according to the membership purchased. Please go to the membership section of the BoardSource website for more information. 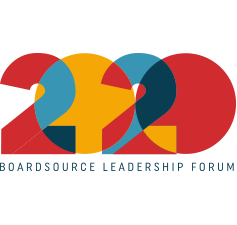 BoardSource has two types of members: individual members and organizational members (including our Board Support Program for Individual Nonprofits). The membership benefits that accompany these two levels of membership differ. Certain BoardSource resources, products, and services are only available to particular member types. Our pricing structure is also based on membership level. What type of member am I? Is my membership current? To find out your member type and status visit your My Account page. To log-in use your e-mail address as your username and enter your password. Your membership type is listed at the top of this page. If you cannot remember your password, visit the Forgot Password page for an e-mail reminder. Your e-mail address must be current with BoardSource in order for the reminder to be sent to you. If it is not, please contact the member hotline at 202-349-2580. What is your cancellation/refund policy for membership? Individual and student memberships may be cancelled within thirty (30) days of purchase. Cancellation requests must be sent in writing to members@boardsource.org within the 30-day cancellation period. Membership cancellations are eligible for a full refund, less any membership discounts received prior to cancellation. After the 30-day cancellation period has passed, no refunds will be issued for cancellations of individual or student memberships. Individual memberships can be cancelled at a prorated amount and kept as a credit when becoming part of an organizational membership. Organizational memberships are not eligible for cancellation or refund. If you cannot find the answer to your question, please contact BoardSource customer relations at 877-892-6273 or 202-349-2580.